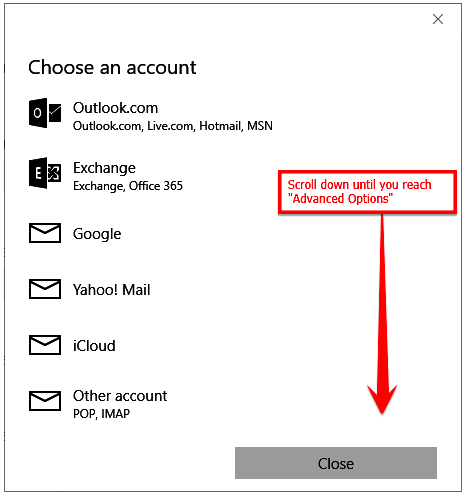 The following guide should help you make your way through setting up email on Windows 10. If you have any trouble, please don’t hesitate to let us know and we’ll be happy to walk you through it. The password we’ve provided is a TEMPORARY password only; it is NOT secure. PLEASE make sure that you update it immediately. To change your email password, first log into the account via webmail. 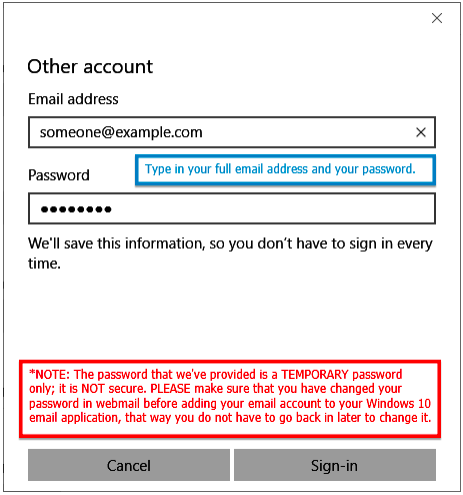 We recommend that you always change your password before adding your email account to Outlook or a phone, that way you do not have to go back in later to change it. 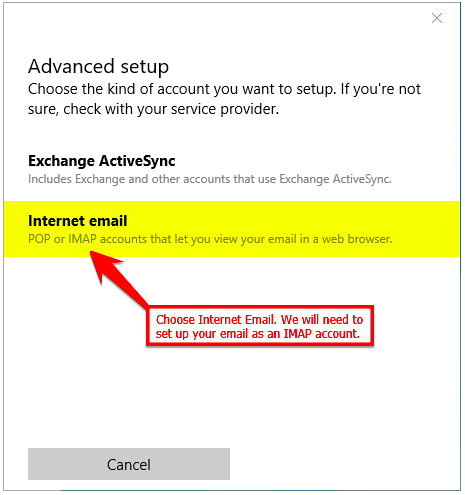 Choose “Internet email,” as we need to set this account up as an IMAP account. You will need to enter your full email address and password. Below you will find the information required in order to set up your email account. Windows 10 Email Application does not let you specify ports. It should automatically connect to them.